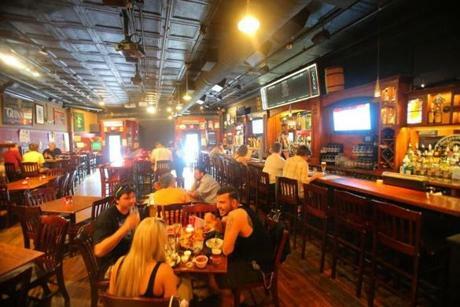 Olde Magoun's Saloon in Somerville offers several imported and local craft beers and a welcoming atmosphere. 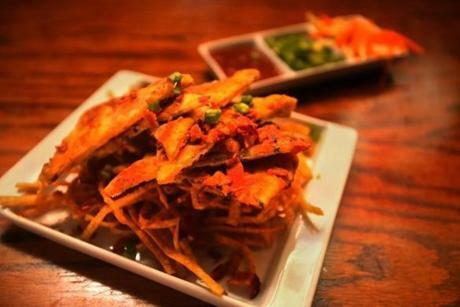 Magoun holds their "Baconpalooza" every Wednesday evening in the month of July. 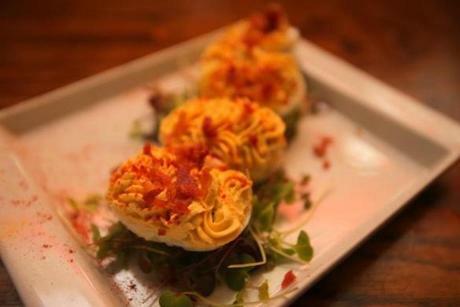 "Devilish eggs" with pureed peppers and crumbled bacon. 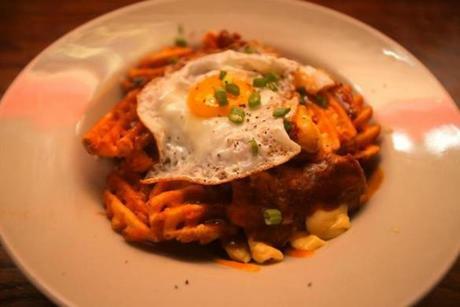 Bacon poutine with waffle fries, bacon gravy, and a fried egg. 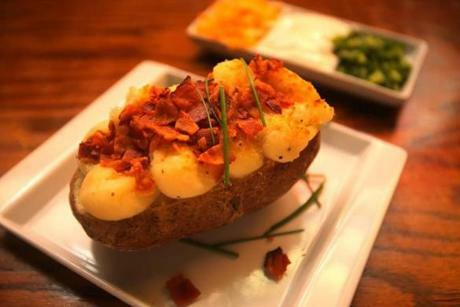 Twice-baked bacon potato with chive sour cream.